Promoting the 2X graphics power in Haswell-based Ultrabooks Kirk Skaugen also said that Haswell graphics will outperform 80% of discrete graphics cards shipping in China. 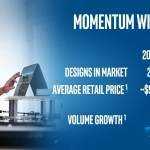 The new Intel Core microarchitecture will allow the company to deliver up to double the graphics performance over the previous generation. In addition, the new graphics solution will have high levels of integration to enable new form factors and designs with excellent visual quality built in. Skaugen demonstrated these graphics improvements on the 4th generation Intel Core processor-based Ultrabook reference design called “Harris Beach.” The demo featured Dirt 3*, a popular gaming title, showing the same visual experience and game play as a discrete graphics card that users would otherwise have to add separately. He also showed the 4th generation Intel Core processor-based concept, codenamed “Niagara,” a premium notebook with the ability to play the unreleased enthusiast title Grid 2* from CodeMasters* without the aid of a discrete graphics card. Skaugen presented the references design called Harris Beach. “It will also bring to consumers a new wave of ‘two-for-one’ convertible and detachable systems that combine the best of a full PC experience with the best of a tablet in amazing new form factors.” he said. 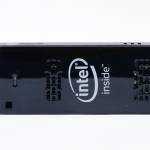 A new Toshiba hybrid was shown based on low-power 3rd-Gen CPUs. The Lenovo 11S, also based on the low-power CPUs was said to be shipping in June which is way later than we expected and a clear indication that the new low-power 3rd Gen Cores will continue through 2013. 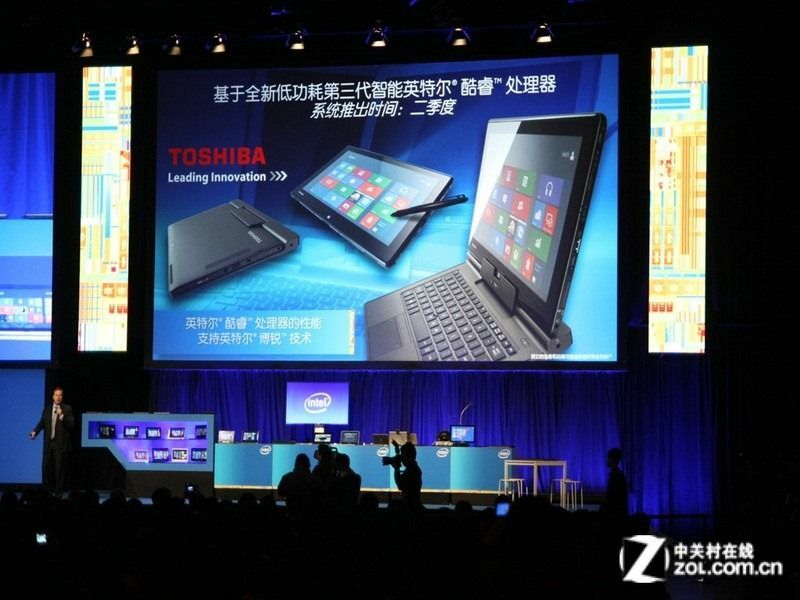 Update: This is the new Toshiba Portege Z10T. 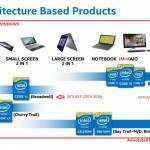 It’s a 10-inch Ultrabook Detachable (as Intel now seems to be calling this hybrid sub-segment) and will go on sale in Q2 with a low-power Ivy Bridge CPU similar to the one which will be in the Lenovo Yoga 11S. Update 2: An even more here about the Toshiba Z10T. 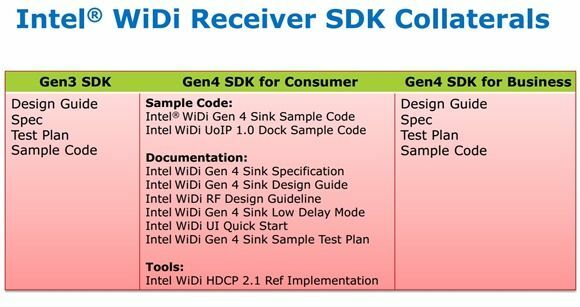 It seems WiDi will get a big push next year. 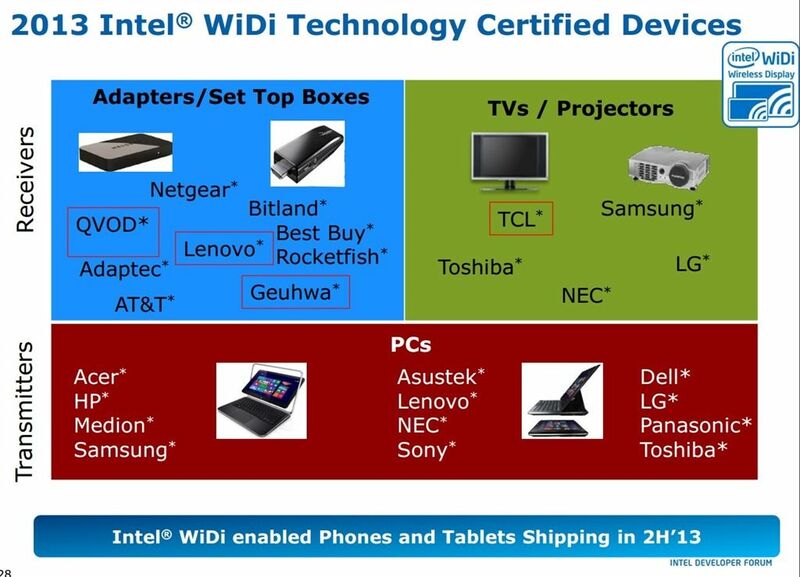 The wireless display system based on Miracast is now built into more systems. Apparently 40M PCs have shipped with WiDI. 10 million TVs have shipped with receivers. Note that WiDI is required in all Ultrabooks based on Haswell. Currently at version 3, there are also hints of version 4 and a business version (WiDi Pro we suspect) coming soon. Stay tuned for videos and images and more from IDF 2013 Beijing soon. Attractive component to content. I just stumbled upon your site and in accession capital to claim that I get in fact loved account your blog posts. Anyway I’ll be subscribing to your augment or even I fulfillment you get entry to persistently fast.